Musicologist is a pirate on the Meridian Ocean, current fleet officer and muse of Phantasm of the flag Reign of Chaos. He is often found swordfighting against an Apollo dummy. He can also be found on the Emerald Ocean where he is a current senior officer of the crew Cupcake Cult. Musically named boats, pets and familiars. Music-themed trinkets and portrait backgrounds. Proud owner of a Clotho doll: "Musicologist, for reminding us of the power of music in our lives, August 2012". Winner of numerous assorted trinkets in automated tournaments. Winner of numerous Hera-sponsored puzzle competitions. Attained ultimate rigger status on both Meridian and Emerald. Became the #1 rigger on April 18, 2012 (Meridian) and June 24, 2016 (Emerald). Defeated Clotho in a Deccenium Swordfight 2012, winning a gold lily and tea set. Is not as good as Apollo in Swordfighting. Is as good as Prometheus in Drinking. Hates Weaving, really really hates Weaving. Winner of the "Name that building, win a sloop" competition on the Hunter Ocean. 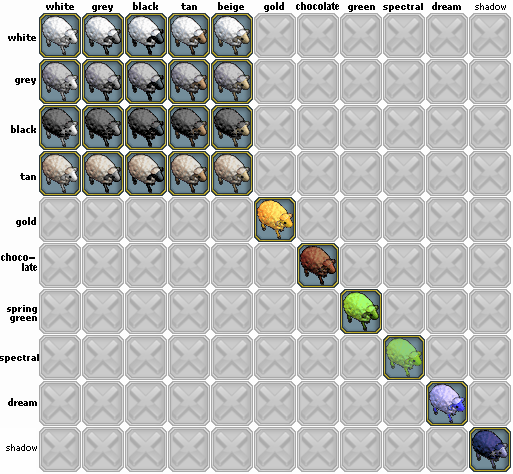 The explorers' hall on Aimuari is now named the Great Apescape. Winner a level 4 prize in Clotho's thread a pirate needle. 2nd place winner in "Piratey Fairy Tale II" winning a Verdant class sloop among other things. Honorable mention in 2011 Pumpkin Carving- awarded a Clotho egg in OM's choice. 3rd place in Nervous Breakdown- hosted by Dexla. 2 honorable mention entries in Camp Scurvy 2011.- Hosted by Dexla and Herowena. 2 time winner in Convict's Kirin Island Renaming Contest series. Host of Muse's Misery- an short alliterations doodle. Multiple event placer, special award(s) winner in the Squishat Marathon 2012. Honorable mention in Camp Scurvy 2012, Day 3- Hosted by Dexla and Herowena. Second place winner in the Literature Category- Pirates Got Talent 2012- Hosted by Angelira. Multiple event winner in the Doctor OOO: Worlds in Lime Event Doodle Series- Hosted by Imp. Co-host of Summer Speed Drawing Showdowns with Iong. 3rd place winner in Sheepish Avatars- Hosted by JainaSolo. One of 3 runner-ups in Forums Behind the Scenes!- Hosted by StephenSam. Egg winner in the writing category of Apollo's Tar Wars Day Winner- winning an Apollo Egg. 4th place winner in Quoth the Magpie- Hosted by Imp. Two-time winner in the Half-Hour Homily series of writing event- Hosted by Bia. Winner of a Forculus doll in the 2013 Dolls Galore Contest (doll entry). Winner of an Endymion egg in the 2013 Dolls Galore Contest (avatar entry). Winner of a (second!) Clotho doll in the 2013 Dolls Galore Contest (doll entry). 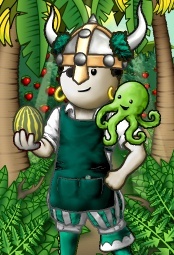 Winner of a Cephalopod egg in the 2013 Dolls Galore Contest (avatar entry). Winner of a Bia egg in the 2013 Dolls Galore Contest (avatar entry). Winner in the Pi-Day Pilish Poetry contest. Winner of Ode to me Best Mate! Song Parody. This page was last modified on 25 June 2016, at 01:44.